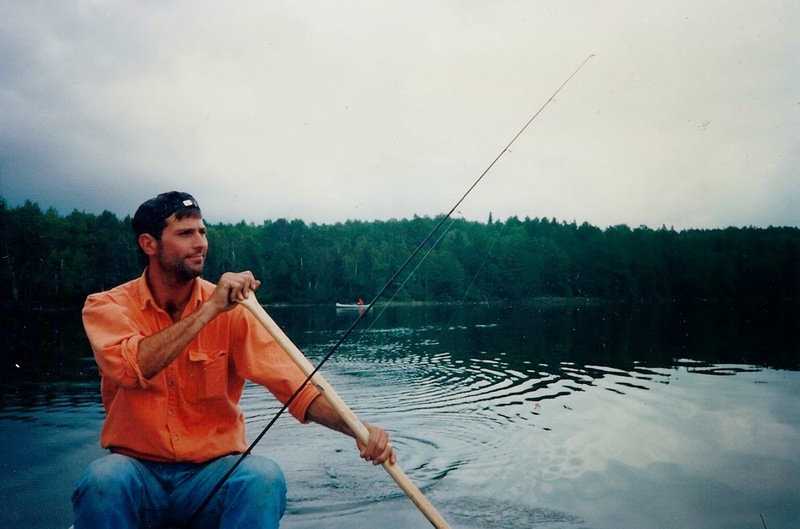 The Sunday edition of "So It Goes..." has been dedicated to providing peeks into the characters that are in my forthcoming book, Dirty Shirt: A Boundary Waters Memoir. In these peeks, I don't reveal too much of what is in the book, but rather, I try and reveal more about the person and their relationship to me. This week I'll talk a bit about my brother Rob. 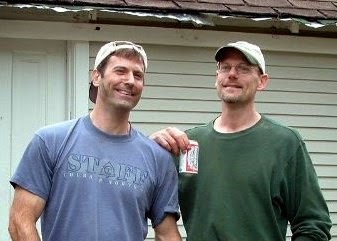 Rob was two years younger than me and second from the youngest in our family of seven kids. Complications at birth caused him to lose most of his hearing. I speak to this in another blog post on a blog I contribute to as a guest writer. His deafness made for a lifelong challenge for Rob which he took in stride and overcame in his zest for living and loving. He is a central character in Dirty Shirt for much of the book. Next to me, he is the most prevalent character in the book. I've said many times on this blog that the two of us were very close. We grew up together, hung out together in our college years and then raised our families together. In the book I'm working on next, about the house I grew up in in St. Paul, I recount many of the hilarious stories of growing up with five siblings in a single parent home. Here are a couple that didn't make the book. As many of you know, Rob had Hollywood good looks. 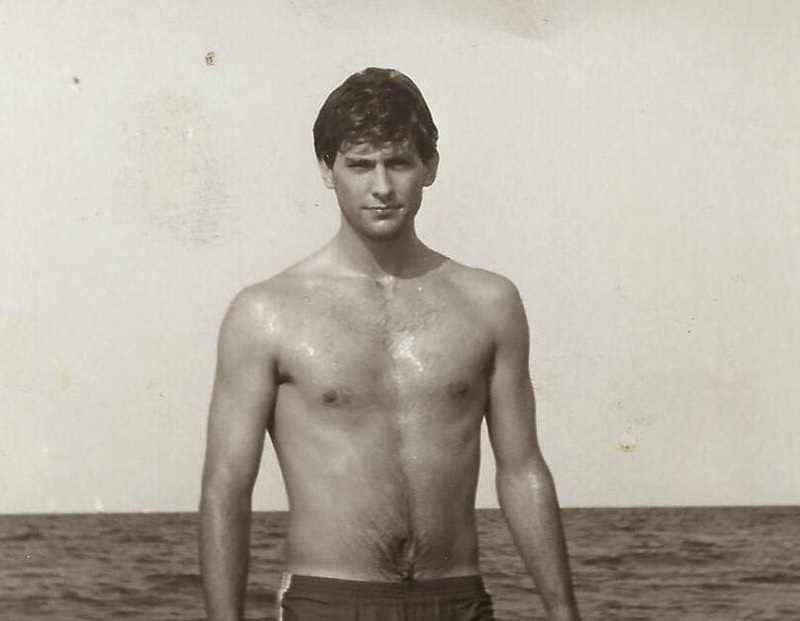 Like my father before us, he was handsome and built. I remember a house party I was hosting once in college and, when Rob walked in the door, no more than two of my girl friends came up and asked me who he was. When I pointed out that he was my brother they swooned even more. When asked whether they saw the resemblance to myself, their answers were less than concrete. I assured them that there was a DNA relationship and that good looks ran in all the Landwehr brothers, but by that time, it was clear they were no longer listening to my good looks and were focused on his. He was a head turner. I used to enjoy hanging around him just hoping to catch some of his cast-offs. Once when we were at the beach on Lake Nokomis, a girl approached me on shore while Rob was swimming. She asked if I would give him a note. After I clarified that it was for HIM, not ME, (She assured me that, no, it was definitely for him), she went back to her towel with her friend. It turned out to be her friend's phone number, who was too shy to approach us. Snubbed in favor of the big guy again! My mom had a big Christmas party at our house one year. In walks Rob and conversation stops and glasses drop. Well, that might be an exaggeration, but not by much. Rob and I went out to dance clubs a lot in our college years. I held his beer for more songs than I care to remember, while he was out cuttin' it up with some girl that asked him to dance. Yep, I was that guy. Furthermore, he was confident enough that he could tell a girl no thank you if he wasn't interested in her. This was always a shock to me because, for as little as I may have been asked, I don't think no came up. I was just happy to see interest. LOL. When he was young, his looks were compared to Tom Cruise (Top Gun) and Scott Baio (Happy Days). When he was a little older, there were times he looked like Robert DeNiro. Me? Well, I got James Taylor (Fire and Rain) and Christopher Lloyd (Back to the Future). But hey, who's comparing, right? In any case, he ended up with a beautiful wife, Jane, who was as star-stricken upon first meeting him as the rest of them. Fortunately for both, the feeling was mutual and they had many happy, loving years together and raised two beautiful daughters as well. I too, found a beautiful woman thanks in part to Rob, but that's another story I've already addressed. Click Here to see it. There's many, many more stories about the fun times Rob and the rest of us shared in the great north woods of Minnesota. Unfortunately, you're just going to have to wait until June 17th to read them.